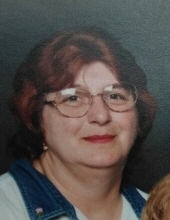 Irene G. Grady, 68, of Girardville, PA passed away Monday, December 31, 2018 at the Geisinger Medical Center, Danville, PA.
Born in Gordon, PA September 10, 1950 the daughter of the late George and Beatrice (Carl) Kukuk. She graduated from North Schuylkill High School in 1968. She worked at the Ashland Hospital, as well as a home health caregiver, and worked for many years as a waitress at Split Rock Lodge. She was preceded in death by her husband William Grady, who died March 14, 2012. Also preceding her in death were three sisters: Verna, Beatrice (Joyce), and Mary; and one grandson: David Anthony Grady. She is survived by a daughter and two sons: Corrina Kojeszewski and her husband Keith, Hazleton, PA; William Grady Jr. and his wife Nicole; Teaneck, NJ; and Timothy Grady and his wife Theresa, Girardville, PA.
Kojeszewski II; Lillian, Michael, Jacob, and Carter Grady; and Angel, Timothy Jr. and Adriana Grady. 4 great grandchildren: Cason and Holden Redis; Ayden Martzen, and Keeva Kojeszewski. Two brothers and four sisters also survive: George Kukuk and his wife Jeanette, Ashland; Lincoln Kukuk, Pitman; Faye Orser, Lewisburg; Katherine Schreiber and her husband Dale, Pitman; Judith Connor, Pitman; Donna Scully, Locustdale. Funeral services will be held on Saturday, January 5, 2019 at 11:00 AM at the Kull-Heizenroth Funeral Home, Ashland, PA. Interment at St. Joseph's Cemetery, Fountain Springs, PA. Viewing from 9:00-11:00 AM at the funeral home. To send flowers or a remembrance gift to the family of Irene G. Grady, please visit our Tribute Store. "Email Address" would like to share the life celebration of Irene G. Grady. Click on the "link" to go to share a favorite memory or leave a condolence message for the family.